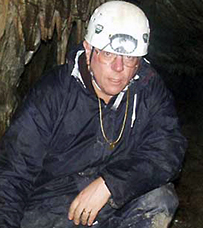 Ian Metcalfe obtained a BSc (Hons) in geology from Durham University, U.K. in 1971 and a PhD (micro-palaeontology) from Leeds University, U.K. in 1976. His academic career began as Lecturer at the University of Malaya, Kuala Lumpur, Malaysia in 1977 where he taught palaeontology, micropalaeontology and petroleum geology and supervised postgraduates at the Institute of Advanced Studies working on petroleum geology projects. Prof Metcalfe has subsequently held academic positions as Senior Lecturer, Associate Professor and Professor at the National University of Malaysia and University of New England (UNE), Australia (1991 to present). He was Science Coordinator for the International Ocean Drilling Program (ODP) Australian Secretariat (1992-1995) and Secretary of the IUGS Subcommission on Carboniferous Stratigraphy (1996-2000). His research has largely centred on East and Southeast Asia and he was co-leader of United Nations International Geological Correlation Program (IGCP) Projects 321 "Gondwana dispersion & Asian accretion" (1991-1996) and 411 “Geodynamics of Gondwanaland-derived terranes in East and South Asia” (1998-2002). He was Deputy Director of the UNE Asia Centre from 2001-2008 and is currently Editor, Journal of Asian Earth Sciences. Prof. Metcalfe's palaeontological research focuses mainly on the microfossil group conodonts which he uses to precisely date marine Palaeozoic and Triassic marine sedimenrtary sequences, to estimate the thermal maturation levels of sedimentary rocks using their Colour Alteration Indices (CAI), to test palaeogeographic models using conodont biogeography, and most recently, using stable oxygen isotopes, to estimate ancient sea surface temperatures. He has also researched radiolarian microfossils from deep-sea sediments that were deposited in ancient Tethys Ocean basins to work out the age and age-duration of these now lost oceans. His international reputation is for studies of conodont microfossils, the Palaeozoic and Mesozoic tectonic framework, evolution and palaeogeography of East and SE Asia (eastern Gondwana and the Tethys ocean basins), and for studies of the Permian Triassic boundary and end-Permian mass extinction in China and more recently in Australia. Recent major research projects also include high-precision U-Pb zircon dating of volcanic tuffs (ashes) in Permian-Triassic sequences in China and Australia and Permian-Triassic timescale calibration. B.Sc. (Hons. Geology), University of Durham, U.K., 1971. Ph.D. University of Leeds, U.K., 1976 (Earth Sciences). Teaching/supervision has included all aspects of palaeontology, micropalaeontology, stratigraphy, sedimentology, petroleum geology, regional geology of Southeast Asia, evolution of Australia's continental margins, tectonics, engineering geology, environmental geology and introductory geology at all undergraduate and postgraduate levels. Ian Metcalfe's research experience covers earth sciences (particularly relating to East and Southeast Asia and more recently Australia), social sciences/economic history (including gender, labour and migration studies), climate-change and environmental studies, and research management. His international reputation is chiefly for earth science and multidisciplinary studies relating to East (mainly China) and Southeast Asia. Prof. Metcalfe's most significant research contributions are in regional & global tectonics, palaeogeography, palaeontology (conodont and radiolarian biostratigraphy, and mass extinction) and timescale calibration studies, both by provision of new fundamental data and through development of testable models and applied multi-disciplinary data acquisition for model evaluation and testing. His work on the continental lithospheric terranes and suture zones of E and SE Asia is at the international forefront of global tectonic research. His model for the successive rifting and separation of three continental slivers from Gondwanaland, their northwards drift and subsequent amalgamation to form Asia, with the opening and closure of Palaeo-Tethys, Meso-Tethys and Ceno-Tethys ocean basins, has received wide acceptance. This 3-Tethys model for evolution of E and SE Asia and his Palaeozoic and Mesozoic palaeogeographic reconstructions have been widely adopted and have provided an ongoing and evolving framework for international global reconstruction and deep earth resources research for the last 30 years. He has also made fundamental contributions to collisional tectonics and ocean plate tectonics. Contributions to conodont biostratigraphy began with the first comprehensive conodont zonation for the Lower Carboniferous of northern England now incorporated into global zonation schemes. Conodont work in SE Asia, China, Australia and U.K. has led to significant contributions (76 publications) to conodont biostratigraphy, biogeography, stratigraphy (especially Permian-Triassic) and tectonic utility of conodonts. He has led international multidisciplinary collaborative research on both the marine and non-marine Permian-Triassic boundary and mass extinction in China and Australia, and reported the first conodonts from the Permian-Triassic boundary transition in Australia. This work has provided important new constraints on the age and correlation of the boundary and the age and tempo of the mass extinction, and demonstrated coincidence (suggesting a causative link) with the Siberian Traps massive volcanism. New fundamental insights and techniques for U-Pb zircon isotope geochronology and calibration of U-Pb and Ar-Ar isotopic systems are outcomes of this work. Wider research interest in Asia includes social sciences/economic history and environmental research projects and he was Wellcome Trust Research Fellow for three years (1991-2001) working on a project on “Women workers in industrialising Asia”. Prof Metcalfe was Deputy Director of the Asia Centre at the University of New England from 1999-2008, and Program Director for the UNE Research Initiative “Environmental and Social Impacts of Resource Development in Asia”. He has also coordinated and partly delivered major research management in agriculture training course Master Classes on behalf of UNE in collaboration with the ATSE Crawford Fund and coordinated UNE Asia Centre in-country research management in agriculture training courses run in Vietnam, Fiji, Indonesia, Papua New Guinea and The Philippines. Prof. Metcalfe has received more than $4.4 million for research and research management activities. He has been awarded nine Australian Research Council (ARC) grants including four Large/Discovery, two small, and three LIEF infrastructure grants. For six of these Prof Metcalfe was Chief CI and research team leader. In addition to ARC grants, he has also received University, and Industry Grants (Shell, Esso, Normandy, BHP, Centennial Coal, Santos), ATSE Crawford Fund, ACIAR and AusAID grants. He has additionally received some $50,000 in grants/grants-in-aid to attend and present keynote papers at overseas international conferences/seminars since 1983. Prof Metcalfe has supervised many Honours, Masters and PhD higher degree students to successful completion at the University of Malaya, National University of Malaysia and University of New England, Australia. Professor Metcalfe has more than 300 publications. His Google Scholar profile is: 5243 Citations, h-index 31 and i10-index 65 (accessed 11/8/2015). Mundil, R., Ludwig, K.R., Metcalfe, I. and Renne, P.R. 2004. Age and Timing of the Permian Mass Extinctions: U/Pb Geochronology on Closed-System Zircons. Science, Vol. 305, 1760-1763. Metcalfe, I. 1996. Gondwanaland dispersion, Asian accretion and evolution of Eastern Tethys. Australian Journal of Earth Sciences Vol. 43, No. 6., 605-623. Metcalfe, I. 1996. Pre-Cretaceous evolution of SE Asian terranes In, Hall, R. & Blundell, D. (eds) Tectonic Evolution of Southeast Asia. Geological Society Special Publication No. 106, pp. 97-122. Metcalfe, I. 2002. Permian tectonic framework and palaeogeography of SE Asia. Journal of Asian Earth Sciences 20, 551-566. Metcalfe, I. 1998. Palaeozoic and Mesozoic geological evolution of the SE Asian region: multidisciplinary constraints and implications for biogeography. Pp. 25-41 in: Hall, R. and Holloway, J.D. (eds) Biogeography and Geological Evolution of SE Asia, Backhuys Publishers, Amsterdam, The Netherlands. Metcalfe, I. 1988. Origin and assembly of South-East Asian continental terranes. In: Audley-Charles, M.G. and Hallam, A. (eds. ), Gondwana & Tethys, Geological Society of London Special Publication No. 37, 101-118. Oxford University Press. Metcalfe, I. 2011. Tectonic framework and Phanerozoic evolution of Sundaland. Gondwana Research 19, 3-21. Mundil, R., Metcalfe, I., Ludwig, K.R., Renne, P.R., Oberli, F. and Nicoll, R.S. 2001. Timing of the Permian-Triassic biotic crisis: Implications from new zircon U/Pb age data (and their limitations). Earth and Planetary Science Letters 187, 131-145. Wakita, K. and Metcalfe, I. 2005. Ocean Plate Stratigraphy in East and Southeast Asia. Journal of Asian Earth Sciences 24, 679-702. Metcalfe, I. 2013. Gondwana dispersion and Asian accretion: Tectonic and palaeogeographic evolution of eastern Tethys. Journal of Asian Earth Sciences 66, 1-33. Metcalfe, I. 2003. Colour and textural alteration of Palaeozoic and Triassic conodonts from Peninsular Malaysia: implications for tectonic evolution and hydrocarbon generation. Courier Forschungsinstitut Senckenberg. 245, 261-280. First use of conodonts to provide constraints on tectonic evolution (using variation in thermal and textural alteration) and in identifying possible source rocks for oil and gas in SE Asia. Metcalfe, I., Nicoll, R.S., Willink, R., Ladjavadi, M., Grice, K. 2013. Early Triassic (Induan–Olenekian) conodont biostratigraphy, global anoxia, carbon isotope excursions and environmental perturbations: New data from Western Australian Gondwana, Gondwana Research 23, 1136–1150. Metcalfe, I. 2000. The Bentong-Raub Suture Zone. Journal of Asian Earth Sciences, Vol. 18, Part 6, 691-712. Metcalfe, I. 1981. Conodont zonation and correlation of the Dinantian and early Namurian strata of the Craven Lowlands of northern England. Rep. Inst. Geol. Sci. Gt. Br., No. 80/10, 70 pp., pls. 1-19.
de Bruyn, M., Stelbrink, B., Morley, R.J., Hall, R., Carvalho, G.R., Cannon, C.H., van den Bergh, G., Meijaard, E., Metcalfe, I., Boitani, L., Maiorano, L., Shoup, R., von Rintelen, T. 2014. Borneo and Indochina are Major Evolutionary Hotspots for Southeast Asian Biodiversity. Systematic Biology 63(6), 879–901. Metcalfe, I., Crowley, J.L., Nicoll, R.S., Schmitz, M. 2015. High-precision U-Pb CA-TIMS calibration of Middle Permian to Lower Triassic sequences, mass extinction and extreme climate-change in eastern Australian Gondwana. Gondwana Research 28, 61-81. Prof Metcalfe is Editor for the Elsevier journal Journal of Asian Earth Sciences, and former Editor for Gondwana Research. Editorial Board member for the Bulletin of the Geological Society of Malaysia and for the Australian Journal of Earth Sciences. He was Editor of the annual Newsletter on Carboniferous Stratigraphy 1992-95. He has edited Special Issues of the Journal of Southeast Asian Earth Sciences, Journal of Asian Earth Sciences, Australian Journal of Earth Sciences, South Asia, International Journal on Multicultural Societies and Asian Studies Review. He is Editor/Senior Co-editor of two A.A. Balkema books, Gondwana Dispersion and Asian Accretion, and Faunal and floral migrations and evolution in SE Asia-Australasia and Co-Editor for The Shaping of Malaysia, Macmillan, 1998, and Mobility, Labour Migration and Border Controls in Asia, Palgrave Macmillan, 2006. He was also Editor of the UNE electronic journal UNEAC Asia Papers, 2001-2008. He has also edited publications of the Malaysia & Singapore Society of Australia. Invited keynote/plenary speaker (expenses paid), at international conferences in the U.K., USA, Canada, Japan, France, Netherlands, China, Thailand, Myanmar, Malaysia, Singapore, Vietnam, New Zealand and Australia and at many overseas and Australian universities/institutions, including Geoscience Australia, the CSIRO and the Geological Society of Australia. Convenor/Member of organising committees for eighteen international conferences. Co-Leader, IUGS IGCP Projects 321 "Gondwana dispersion & Asian accretion" (1991-96) and 411 “Geodynamics of Gondwanaland-derived terranes in East and South Asia” (1998-2002) and participant in IGCP Projects 306, 359, 350 and 421. Member, Plate Reconstruction Working Group, IUGS Project Pangea. Invited participant in the global chronostratigraphy project CHRONOS. International and National Assessor (25-30 per year) for the ARC (International and Oz Reader - Discovery & Linkage Grants, Fellowships & Centres of Excellence) and Australian Dept. Industry Trade & Commerce, National Science Foundations of the U.S.A., Austria and Israel, and the Natural Environment Research Council, U.K. Visiting Fellow/Professor at the Universities of Oxford, Cambridge, and Nottingham, U.K., Universite d’Orleans, France, Australian National and Macquarie Universities, Australia, and Geological Survey of Japan. Science Coordinator, International Ocean Drilling Program Australian Secretariat, 1992-95. External examiner for higher degree theses in Australia and overseas. External assessor for professorial promotions in Australia and overseas. Consultant to petroleum and mineral exploration companies and ABC TV, BBC and TV New Zealand. Featured interview by Robyn Williams on the ABC Science Show, 2005. Keynote Public Lecturer at Te Papa National Museum of New Zealand 2006 on Triassic catastrophes and their consequences. Other media coverage of research in national and local newspapers, radio and TV. Member, Science Advisory Council, Center for Stratigraphy and Palaeontology, China Geological Survey (2001-). Commissioned to write “Regional Geology: Asia, South-east” for the Encyclopedia of Geology, 2005 and for the Elsevier Reference Module in Earth Systems and Environmental Sciences, 2013.